Perfect for the bride who wants a comfortable yet stylish option for her reception and dancing! 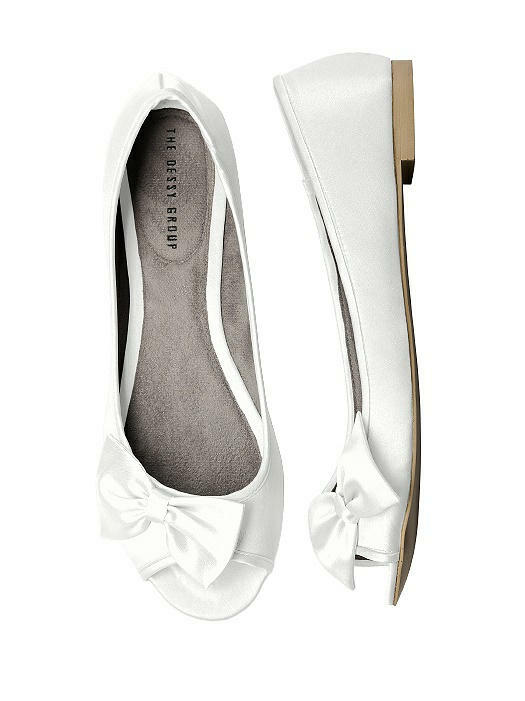 Our ever popular peep toe satin ballet flat in a modern new shape. 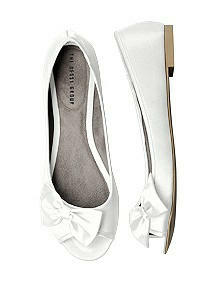 Matching offset satin bow detail. These shoes are not meant to be dyed. COLOR NOTE: Colors displayed on your monitor may vary from the actual fabric color. Visit an authorized Dessy Retailer or order a swatch online, to view in person.